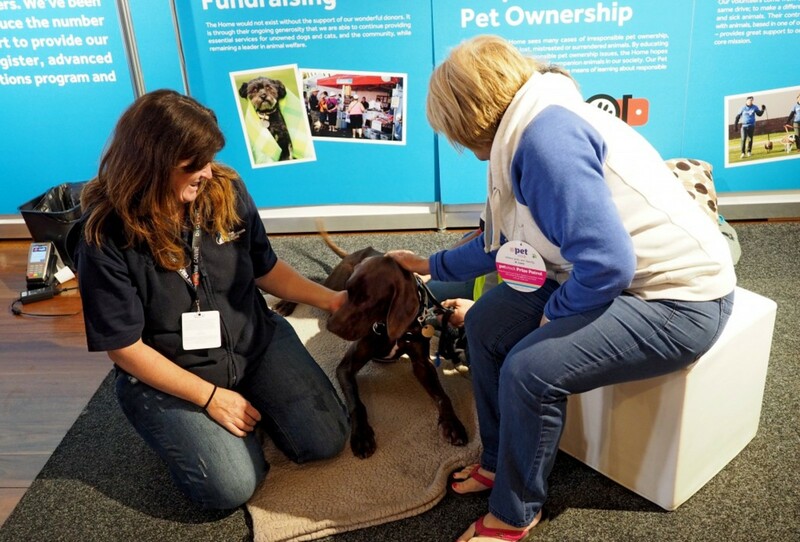 A highlight on the social calendar for dog lovers everywhere, this year’s Dog Lovers Show offered something for every canine enthusiast. Over three jam-packed days, around 25,000 dog fans flocked to the Royal Exhibitions Building to see range of pet health and care stalls, take part in jaw-dropping agility and obedience demonstrations and view some truly moving the stories exhibited at the War Animal Memorial Military Working Dog Tribute. 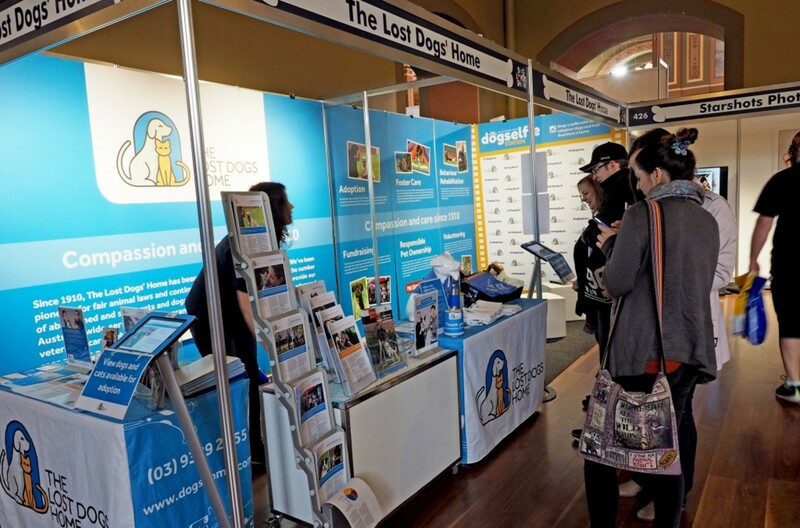 Even though it’s Wednesday, we are still reeling here at the Home from the exhilarating weekend, we spent talking and meeting many wonderful dog lovers about adoption, fostering, volunteering and much, much more! 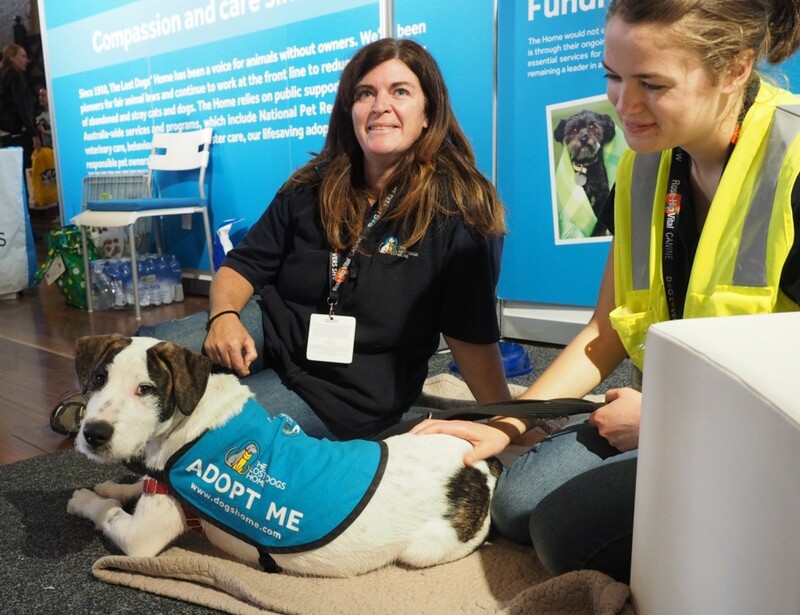 Learning about adoption: Our terrific team of volunteers and staff were on hand to explain what’s involved with adopting an animal from the Home. There was plenty of interest in our current adoption candidates with potential adopters viewing their profiles on our iPads. Some visitors were even lucky enough to meet some of our current adoption candidates in the fur! 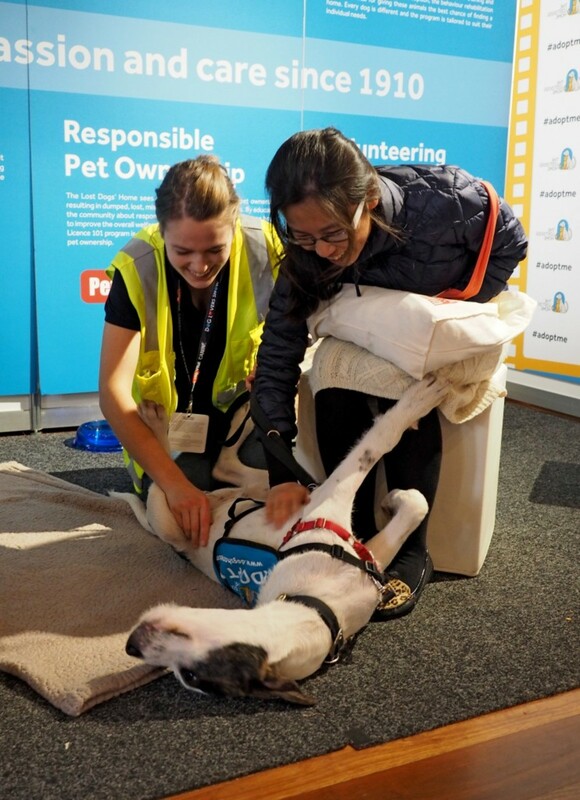 Adopted and adored: Our adoption ambassadors were back for another year in full force, proudly showing show goers why shelter animals make wonderful pets! 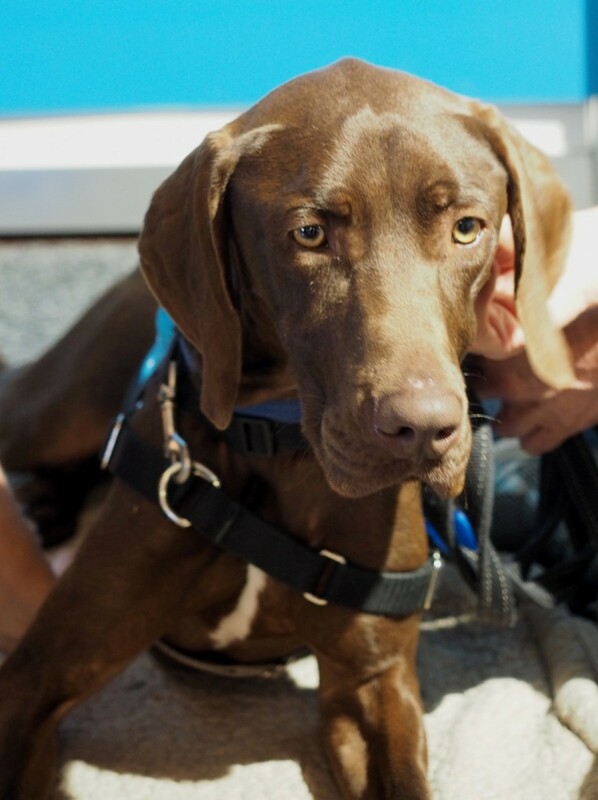 For more information about our current adoption candidates, visit our adoptions section. Fostering and volunteering: Our foster carers and volunteers are valued members of our community and play a vital role in the daily running of the Home. We are always looking for new volunteers to help out and the dog lovers out there didn’t disappoint with plenty of enquiries and interest on current volunteering and fostering opportunities with the Home. Find out more information about volunteering and fostering opportunities. We would like to say a big thank you to all of our wonderful volunteers and staff who took the time to help during the three days. 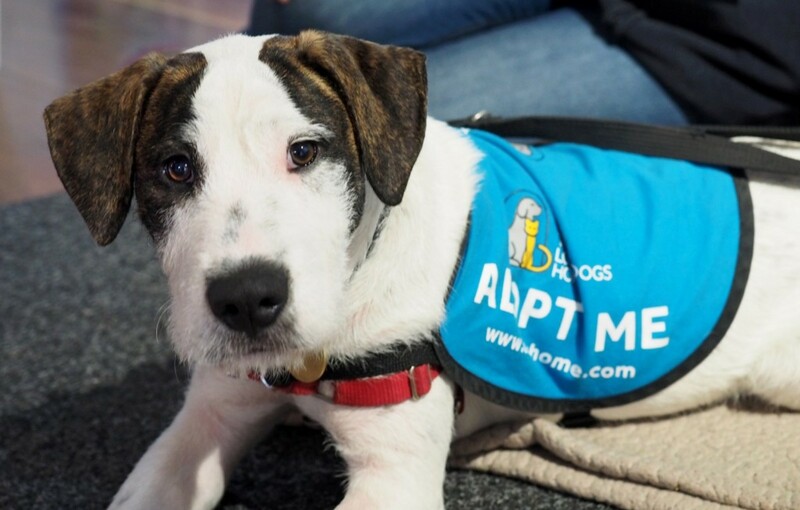 Find out more about some of the dogs currently up for adoption.